Social marketing presents numerous opportunities for realtors to build their brand and increase engagement with their clients. 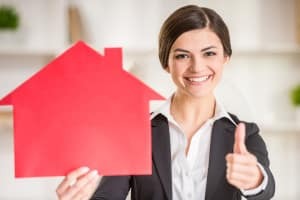 Engage client interest through Facebook posts that feature quizzes and survey questions, and provide useful information with home selling and buying tips, and other real estate related content. You can use the video hangouts on Google+ to interact with potential clients as you share real estate investment tips, run discussion groups about home renovations and other real estate projects with your Circles of real estate enthusiasts, and answer questions on LinkedIn on a variety of real estate related issues. Email newsletters are a great way to stay engaged with established clients. Segment your clients according to their particular demographics and send out a monthly or bi-monthly targeted email newsletter filled with content designed to appeal to each segment’s interests. Include links to useful guides, checklists, and free services, such as mortgage calculators, free home appraisals, etc. to ensure recipients look forward to your monthly missives. A weekly or bi-weekly real estate blog is an invaluable content marketing strategy for generating real estate leads online. Your real estate blog does more than just drive traffic to your website; as you impart information about real estate issues and share your insider knowledge of local neighborhoods, you position yourself as the local real estate authority. Once clients think of you in this light, they will naturally turn to you when they are ready to engage in real estate transactions. Now that cell phones and tablets have video capabilities, realtors can easily add video marketing to their content marketing strategies. You can quickly shoot short videos that bring your listings to life, or engage in video storytelling to showcase local neighborhoods and communities. Video storytelling has emerged as a wonderfully effective real estate content marketing strategy, as it lets you immerse potential clients into the lifestyle they could experience when they reside in one of your properties with a vividness that words simply cannot match. For help enacting these and other real estate content marketing strategies, turn to the dedicated team at For Sale Marketing. We can provide you with everything you need to make your content marketing strategies successful, from a responsive real estate website to social media marketing, real estate SEO copywriting services, and much more. Contact For Sale Marketing today at 954-779-2801 for a complete range of real estate content marketing services that will help you become a top listing realtor in no time!